People move into their Levitt homes in Levittown, New York in early October 1947. 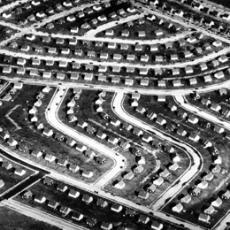 Levittown served as a model for planned communities of the Baby Boom. WIFE: "And we'll have the living room right in here, and the kitchen right here so we can see the children playing in the yard." HUSBAND: "Yeah, the children ... Children? Say, how many are you planning on? Not more than six, I hope. Maybe I better add a few more rooms back here." A couple in a marketing film for the home building industry. Suddenly, it seemed like every family started having babies. Parents were hopeful about the future. There were lots of jobs. People felt the need for a family and security after the long, difficult years of the war. From nineteen fifty to nineteen sixty, the number of children between the ages of five and fourteen increased by more than ten million. 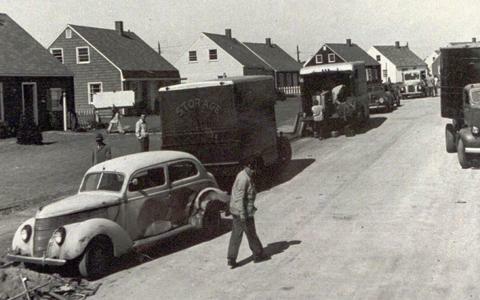 A photo showing part of Levittown, New York in 1948. Life was different in the suburbs - calmer, less crowded than life in the big city. There were all sorts of group activities. There were Boy Scouts and Girl Scouts. Parent-Teacher Associations at school. Outdoor cooking where families gathered in someone's backyard to eat hamburgers hot off the grill. And it wasn't just two-wheeled transportation that experienced a post war boost. ANNOUNCER: "Come closer, sweetheart. Say, I don't think that's fair, because we can't get closer." BETTY FURNESS: "Oh, but you could, if you had one of the new Westinghouse television sets with the exclusive Electronic Magnifier that gives you a big close-up image whenever you want it. 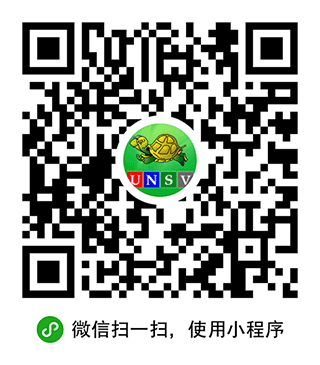 All you do is turn the Electronic Magnifier knob, and there -- you get the heart of the picture. And see? I'm close enough to say, 'Hello, good looking!'" RONALD REAGAN: "And every Sunday night, General Electric brings you the finest motion picture stars on TV -- the great names in comedy ... mystery ... romance. Every week, a star, all summer long, on the General Electric Theater." STEVE EMBER: Over at competitor General Electric, actor Ronald Reagan -- later the fortieth president of the United States -- and often referred to as the Great Communicator, was for many years an effective commercial spokesman every week on the GE Theater. Parents also bought millions of dollars' worth of pianos, violins and other musical instruments for their children. This was program #198. For earlier programs, type "Making of a Nation" in quotation marks in the search box at the top of the page.